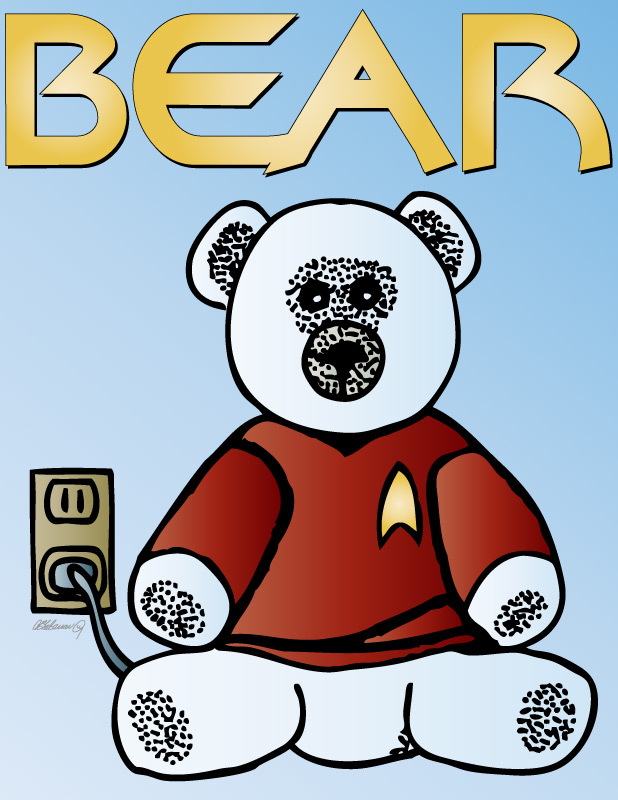 This is another illustration done for the PhyreByrde Star Trek fan magazine. One of the characters in a story had an electronic companion that resembled a bear, so I drew this cutie. For this presentation, I used a cleaned up version of the original -- the tunic's stippling was undrawn. I added lettering (using a free font called Bajoran) and opted for a red shirt from classic Star Trek. Unfortunately, my wardrobe choice for him means that the poor baby will probably be killed in the teaser.